Shimla is considered the leading queen of all India’s hill stations. During British rule, Shimla was the summer capital, and still boasts many majestic buildings and quaint features, including pedestrianized streets. 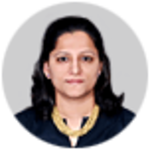 Given the inspiring beauty and tranquil nature of the town, and as the state capital of Himachal Pradesh, it’s no surprise that Shimla is a popular destination for visitors from around the world, particularly for honeymooners and enduring romantics. There’s much to fall in love with here, as you venture into a world of mountains, terraced hillsides and valleys, and dense forests of oak, pine and rhododendrons. Today a preferred holiday destination, Shimla was once the imperial summer capital of the British Raj, located at an altitude of 7250ft and famous for the quaint little toy train bringing you up. (Only if staying at Wildflower) River rafting on the white-waters of the Sutlej River. (Only if staying at Wildflower Hall) The various trails that meander around the forests of Wildflower Hall can be explored on international geared all-terrain mountain cycles. (Only if staying at Wildflower Hall) Re-trace the Raj era by riding along picturesque forest trails on thoroughbred polo horses. (Only if staying at Wildflower Hall) Savour the nostalgia of the Raj Era on guided tours that exhibit Shimla’s glorious history and rich architectural heritage. 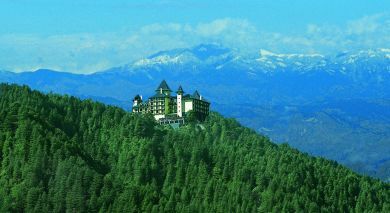 (Only if staying at Wildflower Hall) The Shimla hills play host to a plethora of bird-life, including rare and endangered species. (Only if staying at Wildflower Hall) Trekking through picturesque trails meandering through serene forests and ancient villages. Fagu, just 6km from Kufri, is an ideal picnic spot set amidst forests and orchards. Drive 20min from Shimla to Green Valley; stop for photographic moments with ‘Yaks’; admire the lush Green Valley’s thickest pine (cidar) forests in all of Asia. 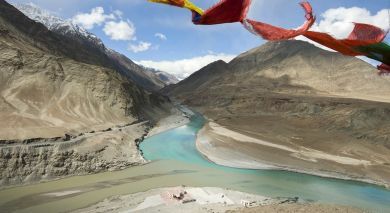 Enjoy snacks/a picnic hamper in scenic environs surrounded by snow-covered peaks of the mighty Himalayas, and marvel at 360-degree views of the Indo-Tibet border. Glimpse colorful flora and fauna along the way. Explore Christ Church, India’s second oldest church; explore the Mall Area, shopping or dinning at one of many restaurants; trek to the Jakhu Hill and enjoy stunning views of the snow-capped Himalayas; step into the Gaiety Theater; visit Summer Hill, Gandhiji’s favorite retreat in Shimla. Shimla, Queen of Hills..once the summer capital of the British Raj with its picturesque backdrop, conducive climate, amazing food and old-world appeal, is a popular holiday destination. It is famous also for treks and nature walks, allowing you to rediscover this hill town’s glorious history. A half day Heritage Walk with your guide-Mr. raaja Bhasin, starts from the town’s core..The Mall Road, taking you to Christ Church..in neo-Gothic style (if open), The Ridge, Gaiety Theatre..opened in 1887, Viceregal Lodge (now the All India Institute of Advanced Studies)..home of the former Indian Viceroy-Lord Dufferin (1884-1888), enjoy amazing mountain views from the Ridge. Shimla, Queen of Hills..once the summer capital of the British Raj with its picturesque backdrop, conducive climate, amazing food and old-world appeal, is a popular holiday destination. It is famous also for treks and nature walks, allowing you to rediscover this hill town’s glorious history. A full day Heritage Walk with your guide-Mr. raaja Bhasin, starts from the town’s core..The Mall Road, taking you to Christ Church..in neo-Gothic style (if open); Ridge Road..a large open space running east-west along the Mall road and joining Scandal Point; Gaiety Theatre..opened in 1887; Viceregal Lodge (now the All India Institute of Advanced Studies)..home of the former Indian Viceroy-Lord Dufferin (1884-1888); see amazing mountain views from the Ridge, see colorful flora; visit a few other noted landmarks along the way..Gorton Castle, Vidhan Sabha, Town Hall, etc; enjoy lunch at the Club. Shimla, the former ‘Summer Capital’ of the Raj, enjoys unparalleled beauty located at a height of 2,200m…with pristine hills, dense jungles, conducive year-round climate and elegant streets. Chug along on a unique yet most scenic ride on the famous over 100yr-old ‘Toy Train’…deemed World Heritage Site by UNESCO…starting from Shimla on a 96kms long journey back to Kalka (about 5hrs). The trip takes you through 103 tunnels, boldly crossing over 800 bridges and viaducts built across tiny streams, traveling on a narrow gauge. The train painstakingly climbs clinging to the steep cliffs…moving slowly (at a speed of 22kms per hour) between amazing mountains, mesmerising valleys, and whistling through pine, fir, oak, maple and deodar forest glades….halting at intervals for picture-perfect moments! Shimla, the former ‘Summer Capital’ of the Raj, enjoys unparalleled beauty located at a height of 2,200m…with pristine hills, dense jungles, conducive year-round climate and elegant streets. Chug along on a unique yet most scenic ride on the famous over 100yr-old ‘Toy Train’…deemed World Heritage Site by UNESCO…starting from Kalka on a 96kms long journey to Shimla (about 5hrs). The trip takes you through 103 tunnels, boldly crossing over 800 bridges and viaducts built across tiny streams, traveling on a narrow gauge. The train painstakingly climbs clinging to the steep cliffs…moving slowly (at a speed of 22kms per hour) between amazing mountains, mesmerising valleys, and whistling through pine, fir, oak, maple and deodar forest glades….halting at intervals for picture-perfect moments! Just 10km from Shimla, lies Tara Devi – the Goddess of the Stars, with a temple dedicated to the Goddess atop a hill..an area rich in flora and fauna, at an altitude of 1851m..offering excellent views of Shimla town. Board the Shimla- Kalka ‘Toy Train’ in Shimla and alight at Taradevi station. Here, start a light 3hr trek to the Temple; traverse via strikingly beautiful views of the Himalayan Mountains..its slopes and the clouds decending upon them. The Toy Train ride (about 45min) is famous the world over, taking you on a scenic journey via tunnels and crossings flanked by mountains..through mesmerising valleys and pine, fir and deodar forest glades. Enjoy a charming light 1-2hr trek in order to appreciate the beauty of Shimla’s idyllic environs with its trees, shrubs, wildflowers and ferns. A short 4km walk from the Ridge, via dense forests, is The Glen valley..where a sprightly stream gurgles through the richly forested gorges and ravines at an altitude of 1830m, and where the narrow forest trail runs above, looping around Summer Hill. Admire dense Rhododendron and Pine forests amid crip air.